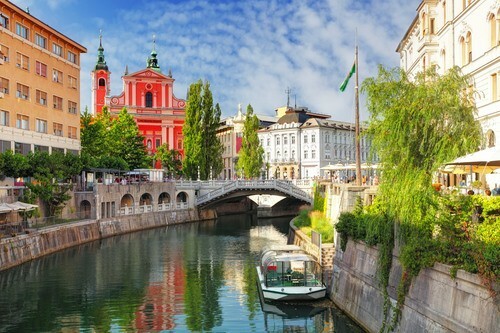 2 nights in cosmopolitan Ljubljana, the capital of Slovenia, 3 nights in charming Rovinj & 2 nights in historic Pula, staying in 4 & 5-star hotels. 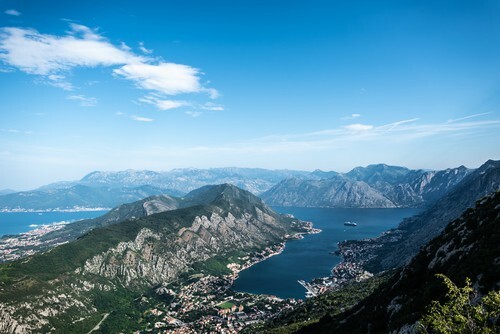 This itinerary includes UK flights, private transfers & wine tasting with a visit to the Groznjan and Motovun hilltop villages and a group tour of Lake Bled. You will be met on arrival at Llubljana Airport for your private transfer to the luxury Hotel Slon. This tasteful 4-star hotel is set in the heart of the Slovenian capital and offers a spa area and an elegant restaurant. Llubljana is one of the best preserved and green capitals in Europe and is a vibrant, cyclist-friendly oasis, teeming with cultural activities, culinary delights, fascinating museums and architectural sights. Exuding both the sophistication one might expect of a larger metropolis and the charm one would find in a small town, it offers the best of both. 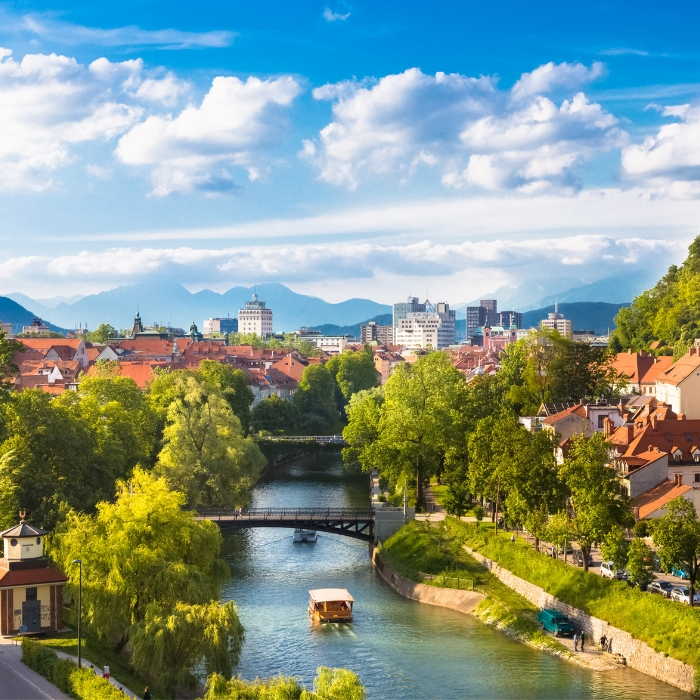 Take a stroll along the banks of the river, and hop of the funicular to admire the finest views of the city and neighbouring Julian Alps and explore the expansive Tivoli Park. An exciting group tour to Lake Bled today, visiting this spectacular beauty spot in the Julian Alps, 55 km from Ljubljana. It is a bluish-green lake with a picture-postcard church on an islet, a medieval castle clinging to a rocky cliff and some of the highest peaks of the Julian Alps and the Karavanke as backdrops. Take a stroll along the banks of the river, and hop of the funicular to admire the best views of the city and neighbouring Alps. There are mild thermal springs with refreshing swimming areas available. 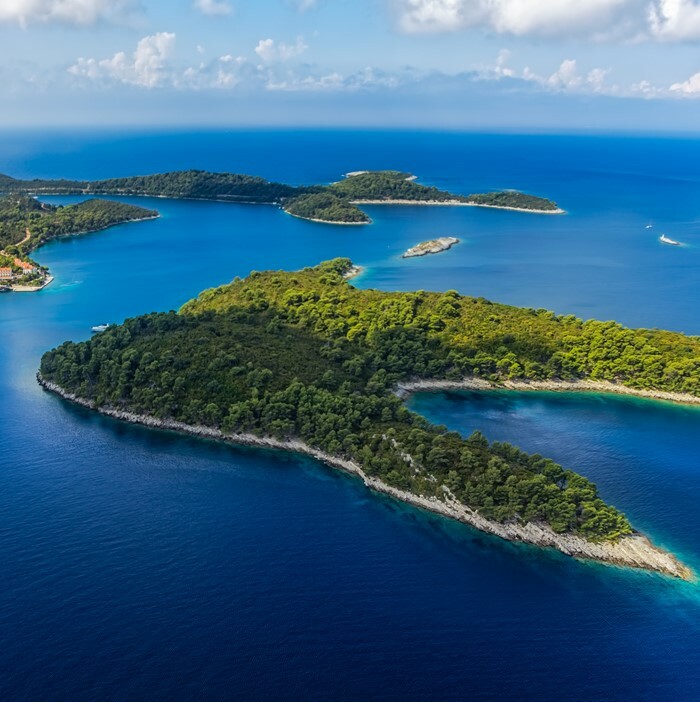 What makes it so special is the tiny tear-shaped island with the Church of Assumption, the 14th century fresco fragments and a gold baroque altar. 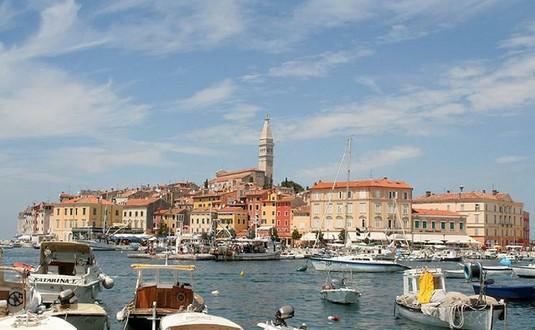 You will be driven by private transfer to the charming medieval fishing port of Rovinj, in the Istria area of Croatia. 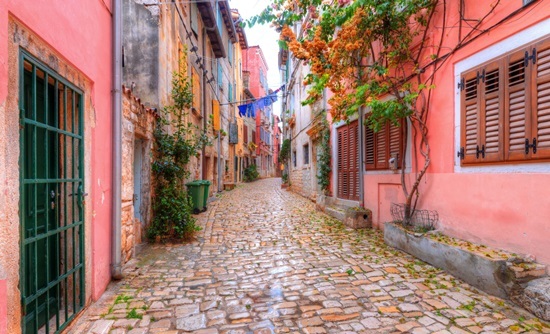 This charming town competes with Dubrovnik as Croatia’s most photographed destination. It was originally built on an island but has since been connected to the mainland. Take a stroll through the postcard-pretty cobbled streets and admire the colourful facades of the local buildings. Visit the hilltop church of St Euphemia to view the lofty steeple that dominates the skyline, and the pebble beaches of Lone Bay. Tucked along the narrow passages and alleyways, there are many inviting shops, cafes, bars and restaurants. Enjoy a traditional local dishes whilst admiring the exquisite sunset. This town is irresistibly photogenic. Get lost in the old town with the colourful, medieval streets bursting with Venetian houses, squeezed one to another and right by the water’s edge. Explore the large number of enticing art galleries that are situated along the steep and narrow pedestrian streets and visit the vibrant harbour with a large collection of small pleasure and fishing boats. 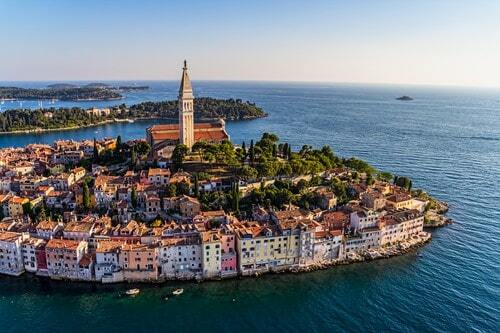 The beauty of Rovinj is truly inspiring and full of romance and intrigue. Relax at the excellent spa and swimming pool at the Hotel Lone or take a refreshing swim at one of the nearby beaches and coves. You could even try your hand at scuba diving as there are some incredible must-sea shipwrecks. 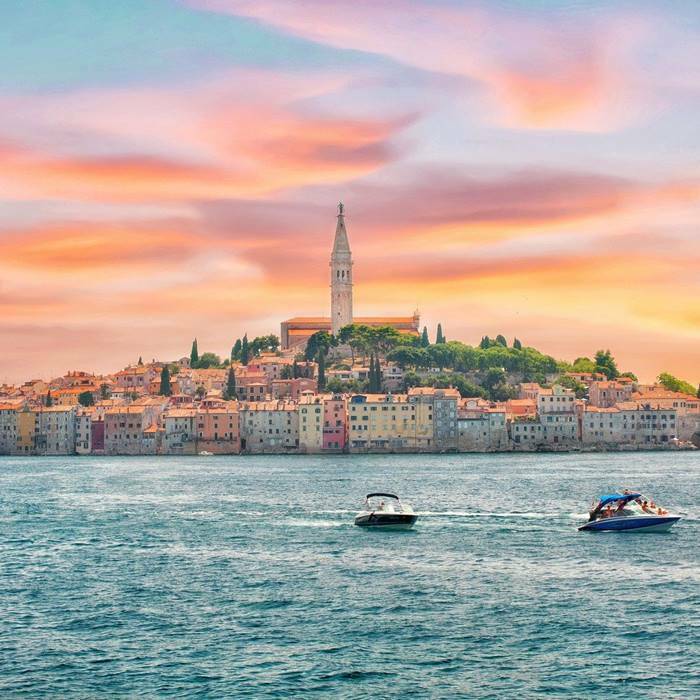 Today is a fantastic private tour of the captivating Istria region through the dreamy countryside dotted with traditional villages, that will overwhelm you with their beauty. You will visit the Kozlovic Winery which is hidden in a secret valley and has been founded on the family tradition of four generations of the Kozlovic family. 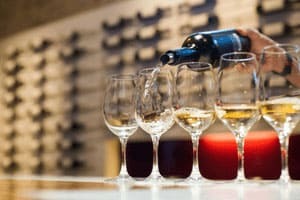 There will be an inspiring guided tour of the wine cellar with a full explanation of the wine production process, as well as a tasting of the delicious Istrian wines. You will discover the charming hilltop medieval fortified villages of Motovun and Groznjan with its vibrant ambience and maze of cobbled streets full local of arts and crafts. You will be met at the hotel for your private transfer to the 5-star Boutique Hotel Oasi in Pula. This is a charming boutique hotel set in a beautiful location, just 200 metres from the beach with an attractive pool area and spa area. 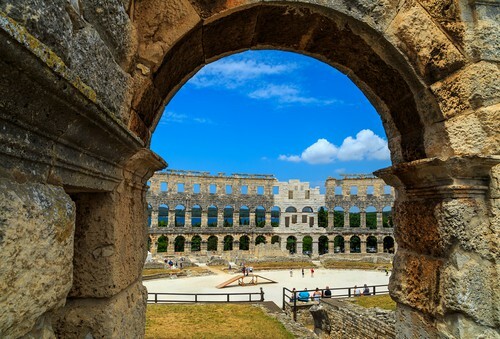 Pula is a stunning Riviera town, on the tip of Croatia’s Istrian Peninsula and boasts a protected harbour, beach-lined coast and famous Roman ruins. 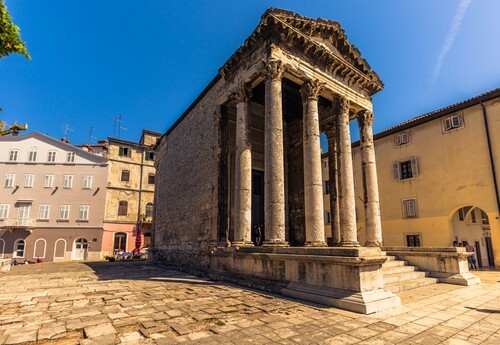 Romans put the city firmly on the map when they arrived in 177 BC, and constructed the incredible amphitheatre that is still the city’s most revered attraction. Built to hold 20,000 spectators and is still used today as an outdoor cinema and to host events as diverse as ice hockey, foodie markets and Tom Jones concerts. Head into the historic old town that has been occupied, destroyed and rebuilt numerous times. The Romans, Ostrogoths and Venetians, as well as the Allied Forces in World War II, have each administered the city. As well as the Amphitheatre, the Temple of Augustus, in the city’s old Forum, is impressive too. Bombed during the Second World War, it was rebuilt and today houses the Pula Museum of Archaeology. Other Roman relics include the Arch of Sergius and an impressive mosaic floor, discovered by chance after the buildings near Chapel of St. Maria Formosa were destroyed during WWII. 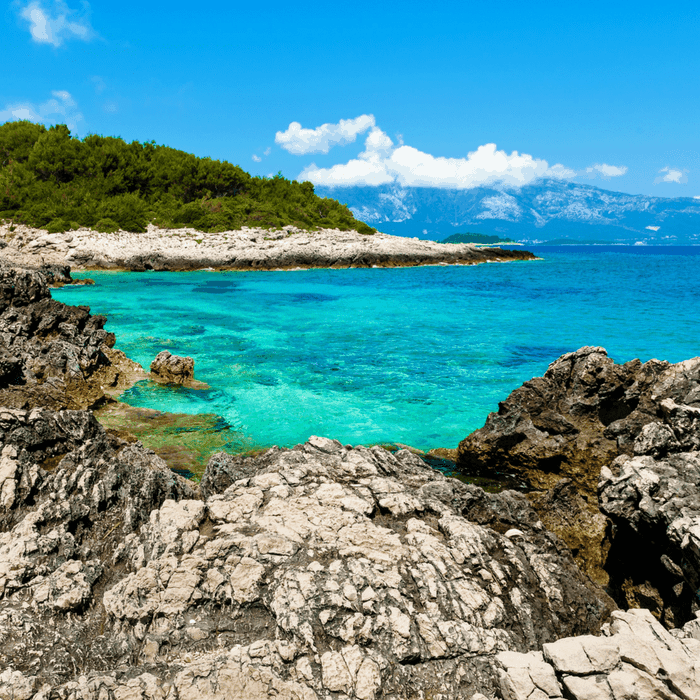 Istria was part of Italy until 1947, and the influence of Italian cuisine is still apparent. It is also a major fishing port, so head to the restaurants dotted along the Limski Canal for the freshest oysters, mussels and other seafood. Time to bid farewell to the friendly hotel staff and others that you may have met during your stay. You will be transferred to Pula airport for your flight home after a memorable and exciting multi-centre Llubljana, Rovinj & Pula holiday.